Frederick Ratsch was born and raised in Chicago, IL. He began his leather working trade with Ortmayer & Son Saddlery. 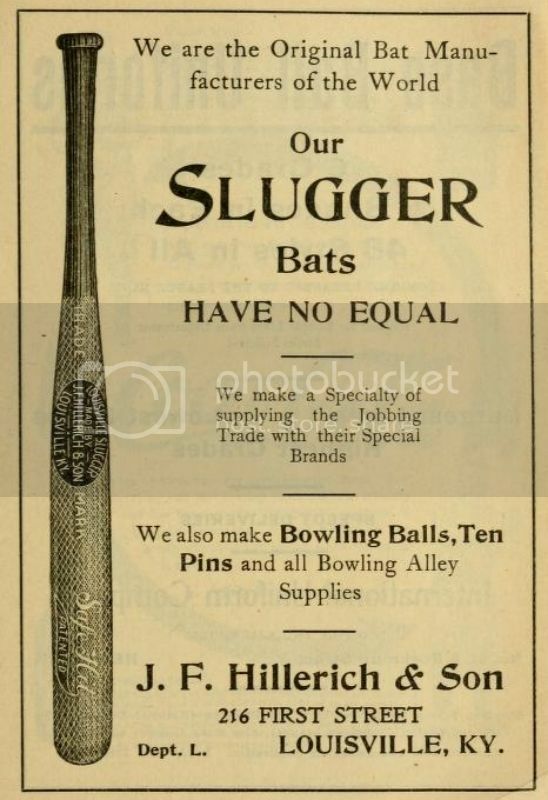 In 1895 He headed out on his own and founded Chicago Sporting Goods Mfg. 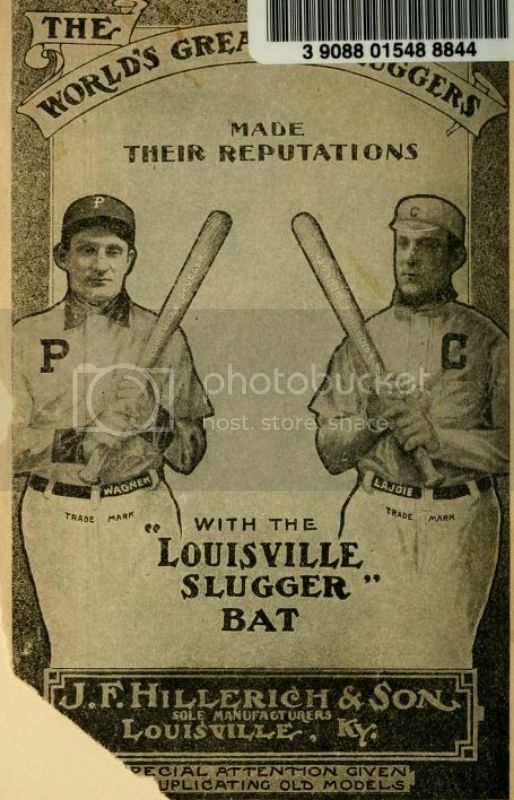 as a maker of all types of sporting equipment and uniforms including "Ratch's Peerless" line of baseball gloves. He sold his equipment through various wholesale suppliers, one being Falwell, Ozmun-Kirk Hardware of Minnesota. At the turn of the century, the FOK catalog was 10" thick. 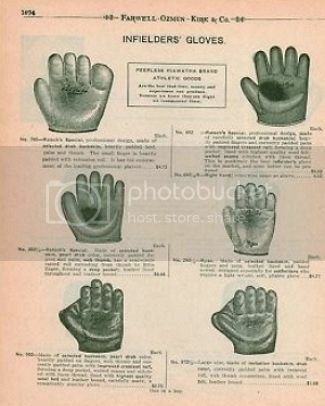 FOK marketed the Ratsch gloves under the "Peerless Hiawatha" brand and used the "Hiawatha" trademark for many of their other hardware products such as saws, guns and oils. 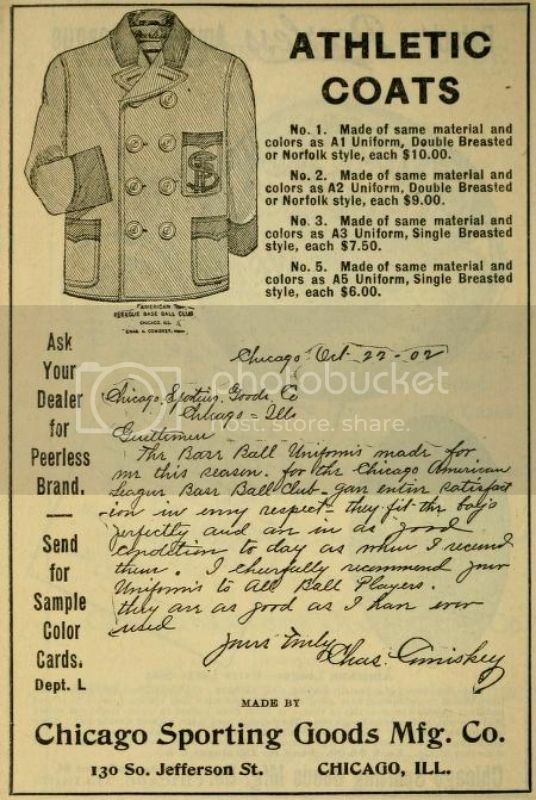 Wilson Sporting Goods bought Chicago Sporting Goods in 1919 mainly because of their expertise in making uniforms. Last edited by mikesglove on February 8th, 2013, 2:40 pm, edited 2 times in total. Frederick Ratsch went on in 1911 to patent the "DukFut" glove which didn't have a long life span but made it highly collectible today. Last edited by mikesglove on February 8th, 2013, 7:53 pm, edited 1 time in total. That is some awesome and very interesting information. 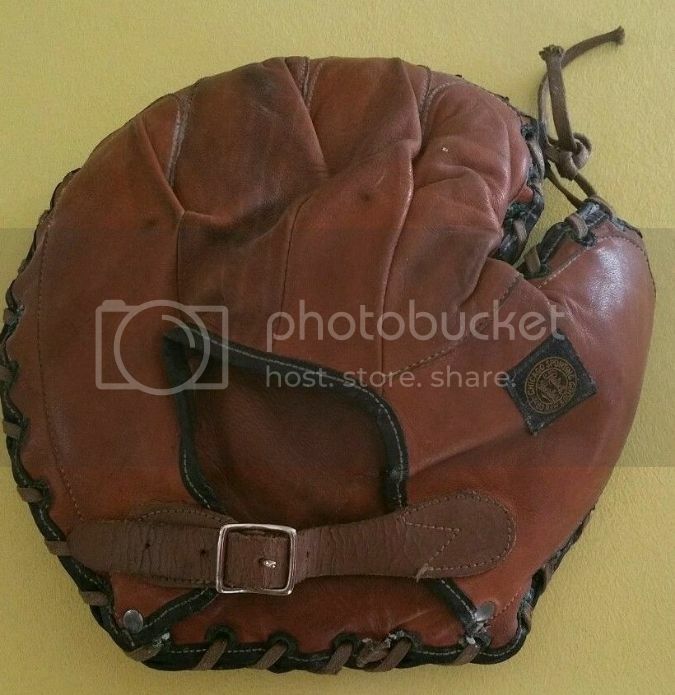 Thanks for sharing, you guys never cease to amaze me with your vast knowledge of baseball gloves and makers. Wow, very informative & nice read. 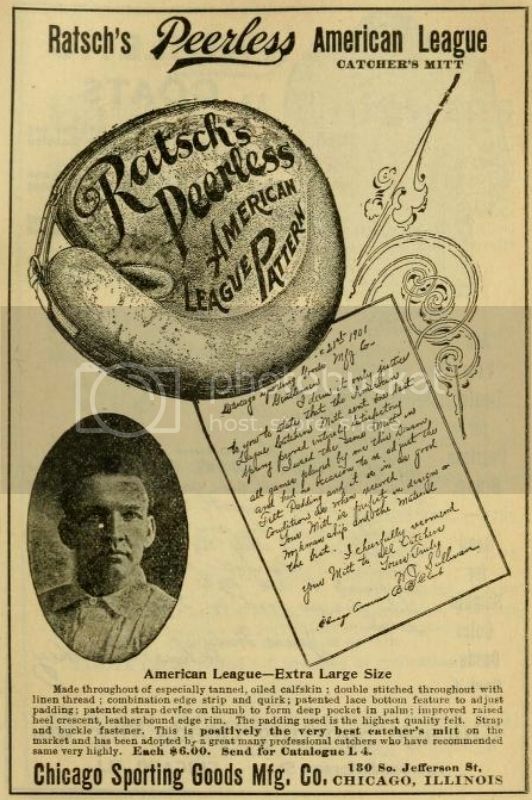 There was a great Ratsch advertising piece that sold at the National. Carlton, the gentleman who runs www.sportsantiques.com, was the buyer so I'm sure they'll be photos when he does his annual write up about the show. Thanks Mike, very informative. Good job. Here is a photo of Frederick Ratsch, founder of the company. 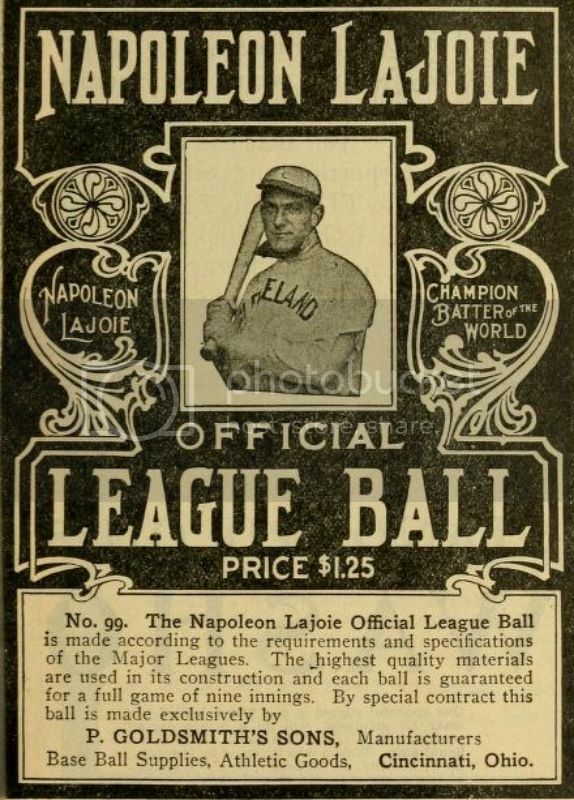 Here are some images from the Lajoie Baseball Guide circa 1905-06. Cool Ratsch/Peerless items plus other vintage gear. 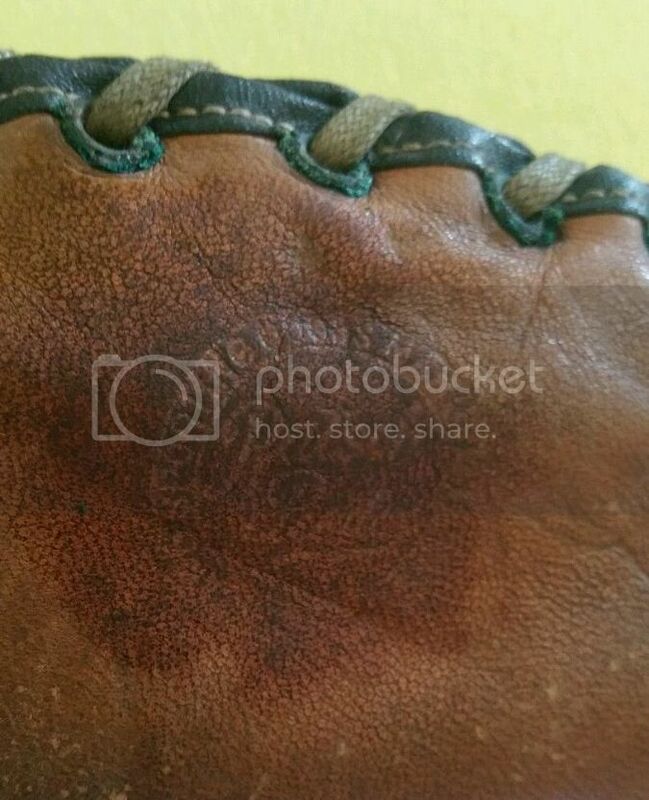 The patented buckle web and laced heel possibly licensed from Victor Sporting Goods. 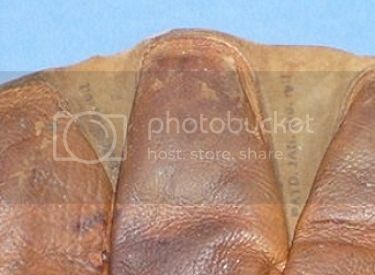 The reinforcing leather piece on the front between the thumb and body was called a "quirk" back in the day. 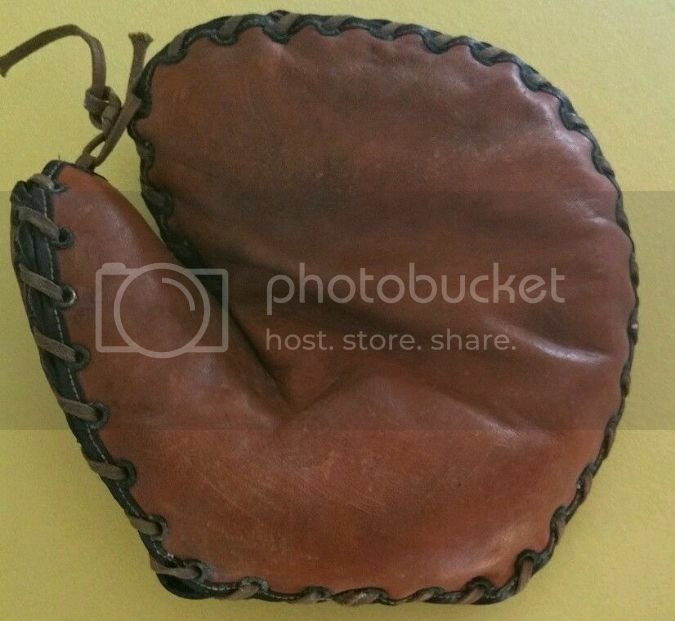 An early Ratsch Peerless base mitt in close to near mint condition. You just don't find them like that. 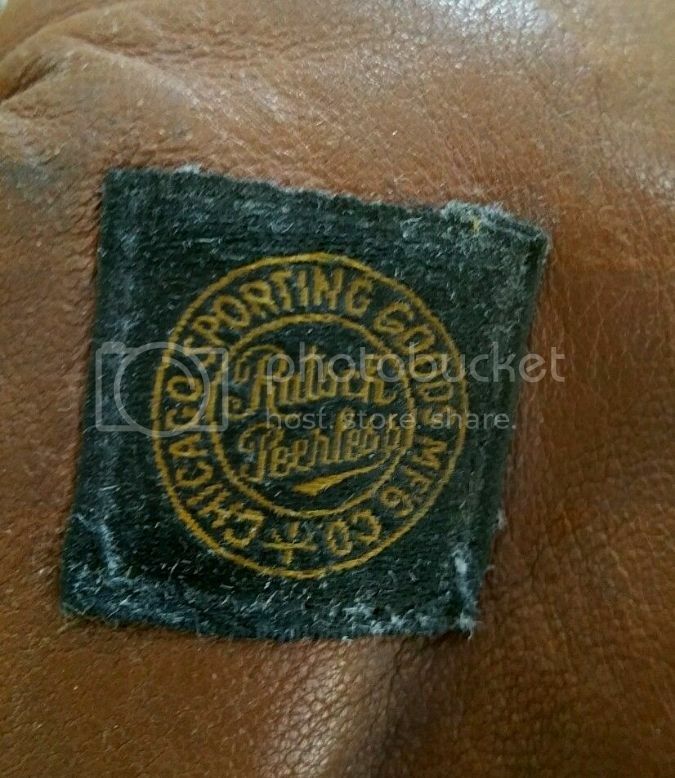 The Ratsch logo on the front is still visible and the cloth patch is a blazer! 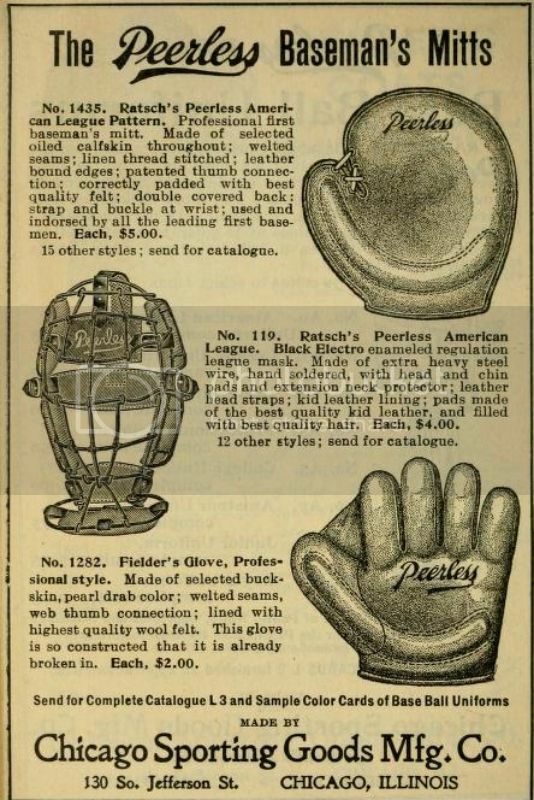 Here are a couple of ads circa 1905 featuring Ratsch/Peerless gloves and mitts. 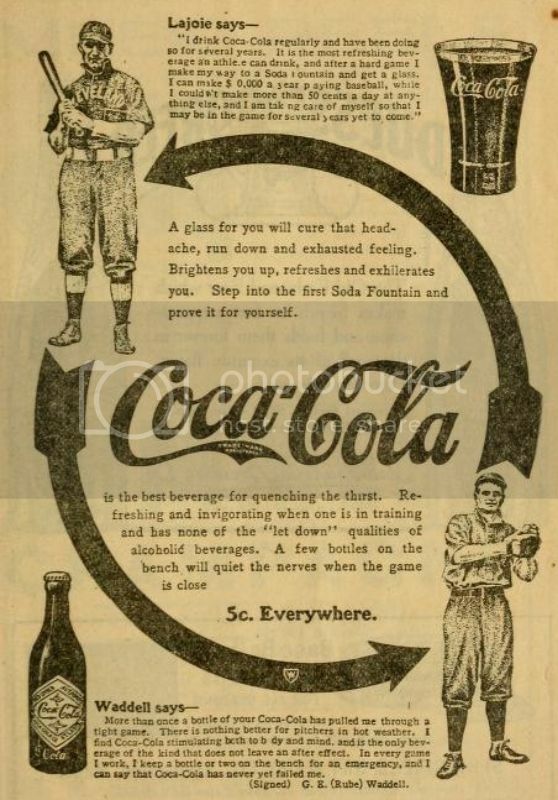 Nice examples on these pages. 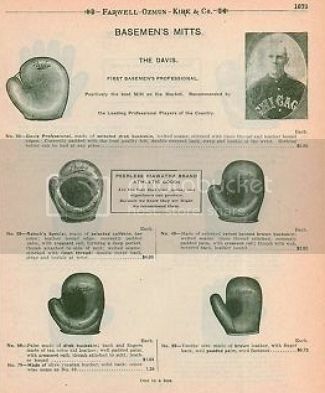 The glove top right has a written endorsement from James Ryan, a local player with the Chicago White Stockings and later the Washington club.